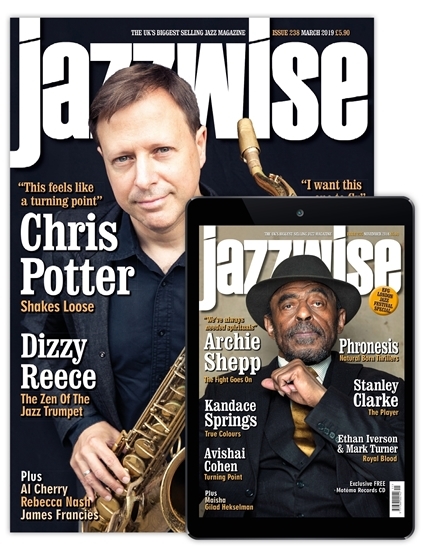 Every month Jazzwise's acclaimed team of writers takes you on the journey of your life: from the cutting edge of contemporary jazz, mainstream, fusion and free-jazz to jazz electronica and world-jazz with hot news, gossip, an extensive gig guide, major features and the UK's most authoritative reviews section covering CD, vinyl, books and DVDs. From the outer edges to the inner circles Jazzwise is committed to discovering new talent as well as extensive coverage of today’s scene and expansive retrospectives of jazz’s vibrant past. You simply can’t afford to be without it.